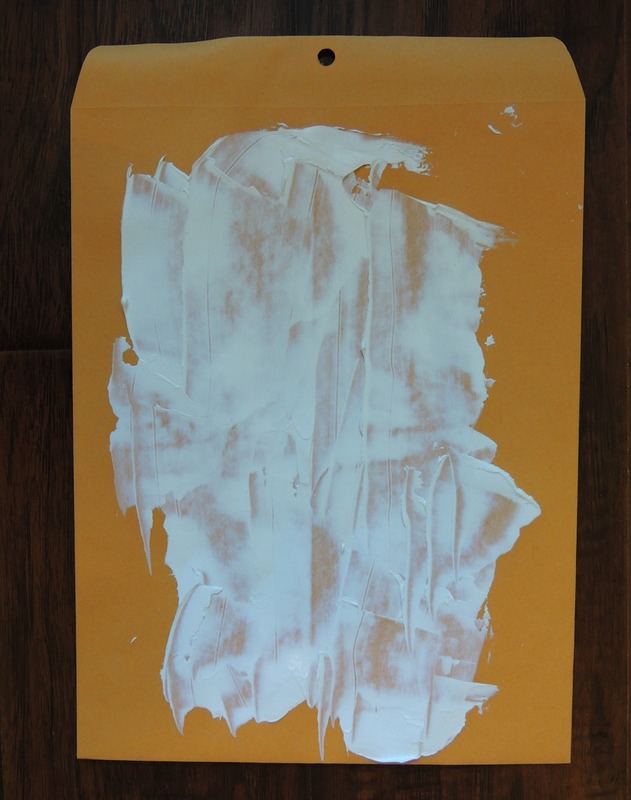 Take a large Kraft colored envelope and apply a thin layer of gesso to the front of it, allow it to dry. 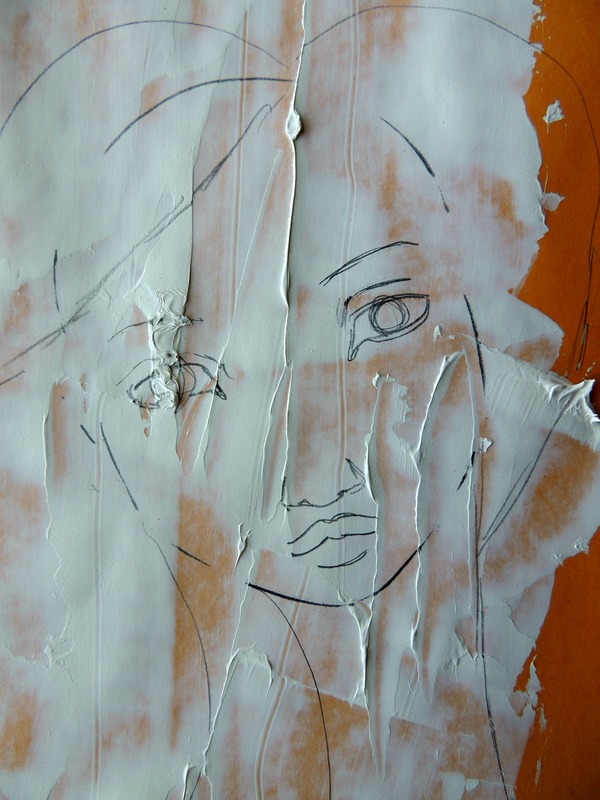 When the gesso is dry, place a face stencil on top and use a pencil to trace the face. Now go back in and outline the face with a Black Micron 01 pen. Begin filling in the eyes and Zen Doodle the hair. These are simple patterns that can be found on the internet. Color can be applied to the face on the eyes, cheeks and lips. 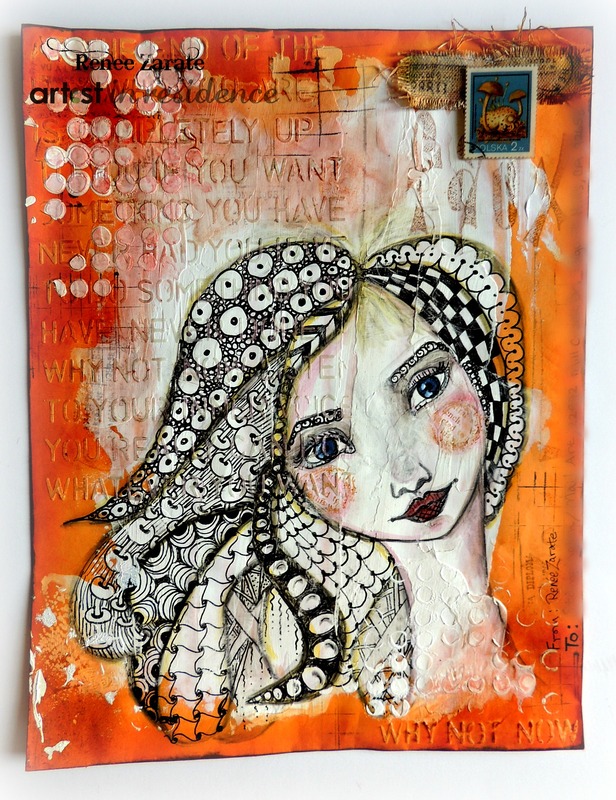 Add dimension and texture using stencils, stamps, etc. in the background. After I applied some gesso a little too thick in the background I used my Groove Tool with the sandpaper tip to smooth it down a little. 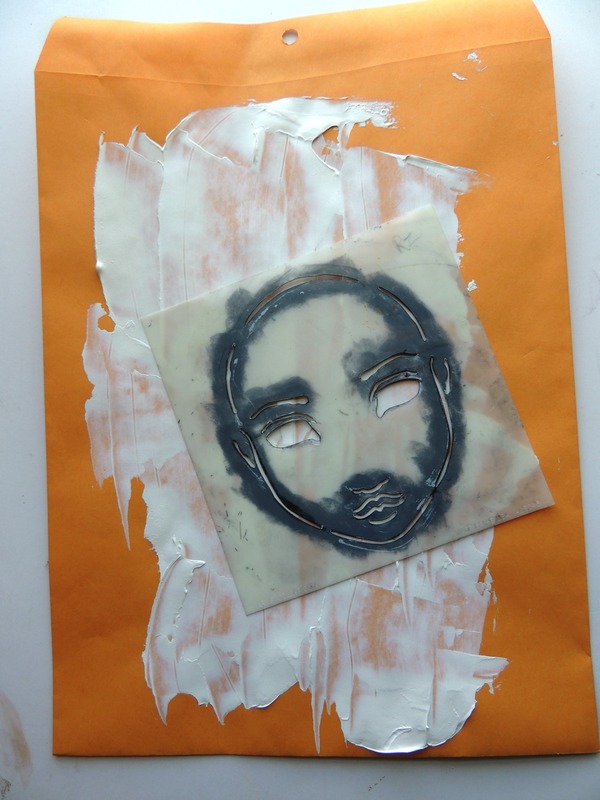 Then I used the sponge tip to apply the inks around the edges to distress the envelope a little. I started with the lighter colors of Memento Luxe using Peanut Brittle advancing to Morocco. 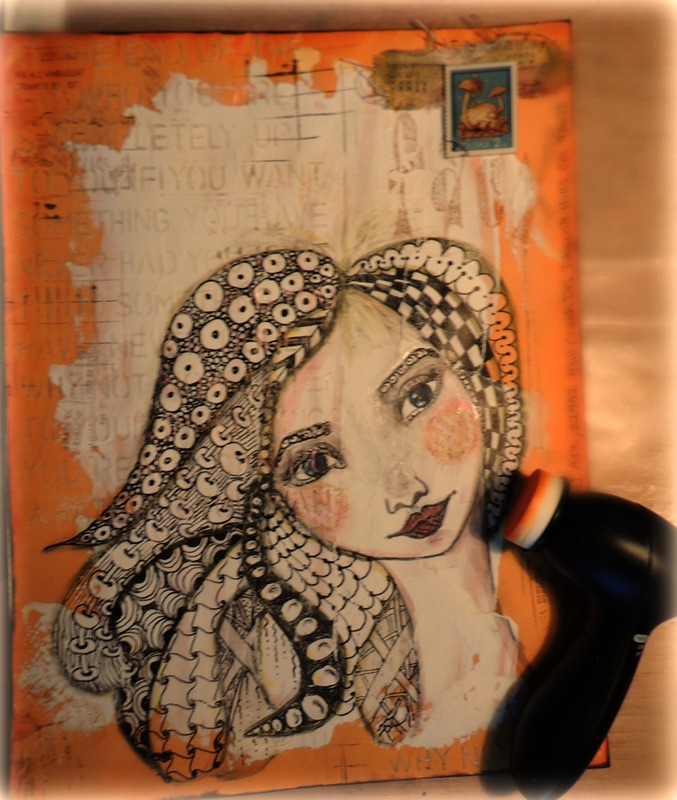 I finished it up with stencils and some Creative Medium Iridescent Pink Paste. Set it aside to dry thoroughly. 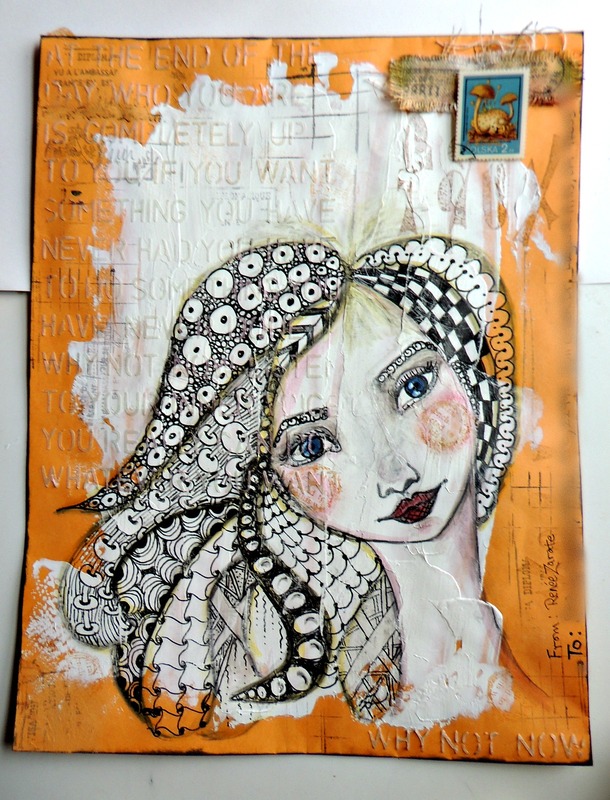 Just attach your postage or you can make Faux Postage with burlap and some ephemera postage from your stash and hand deliver it. If you make one to mail by snail mail simply address the envelope on the side or on the back of the envelope.